In the vein of the Tamagotchi persistence play craze of the 90s, players will undertake actions to keep an endangered animal alive. 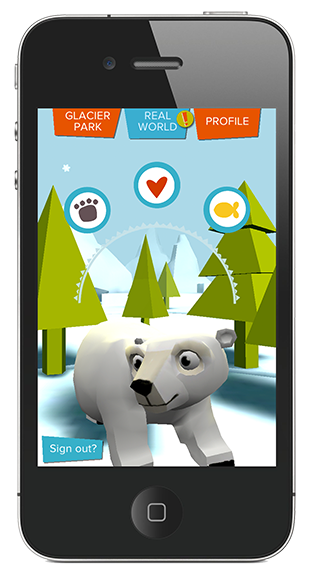 In this first iteration of Habitat game players will adopt a polar bear. To keep the bear alive and healthy, players need to successfully complete events in the game and undertake real world actions. By completing these TASKS players will progress through levels, increasing the health of their bear and earn badges of recognition for their efforts. Ultimately the goal is to save the world by improving the bear’s health.